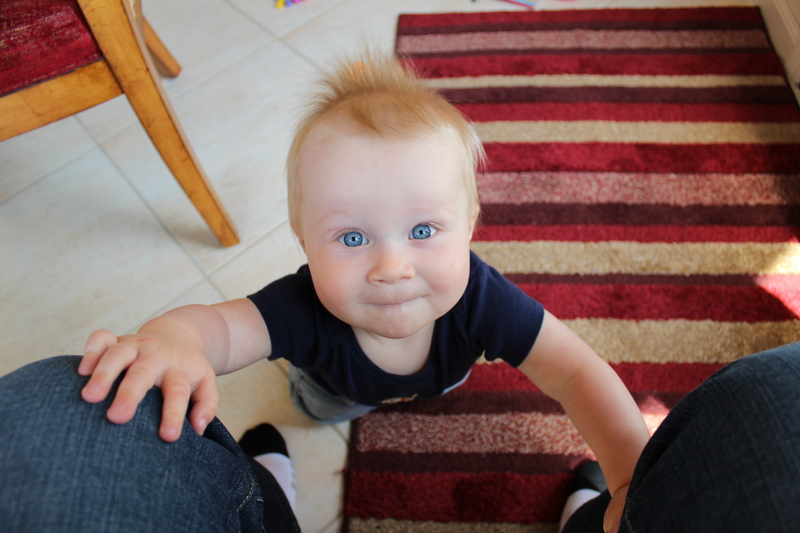 My son turns one next week. 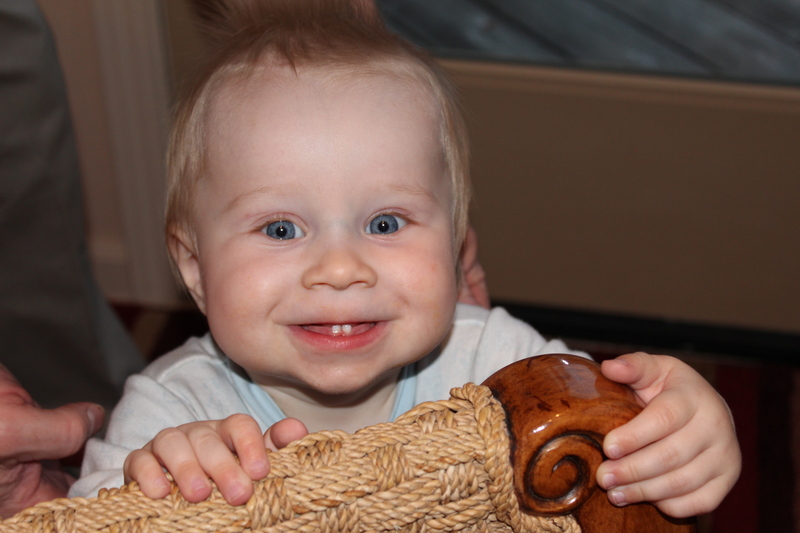 I cannot believe how fast time has flown! It seems like just yesterday I was eagerly anticipating his arrival, and wondering if he would look more like my husband or more like me. For the record, I still don’t know. 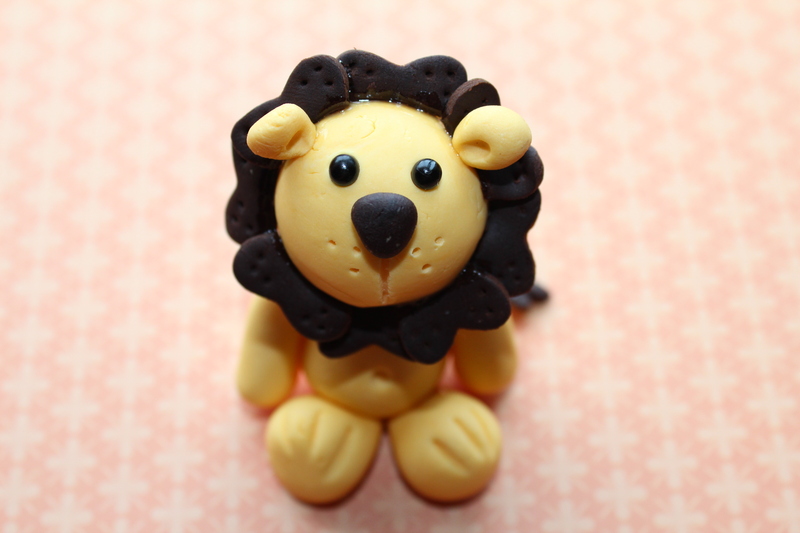 We are celebrating his birthday this Saturday and I am making all kinds of goodies, including cupcakes. Since his nursery is jungle-themed, I decided to go with that theme for his birthday party. 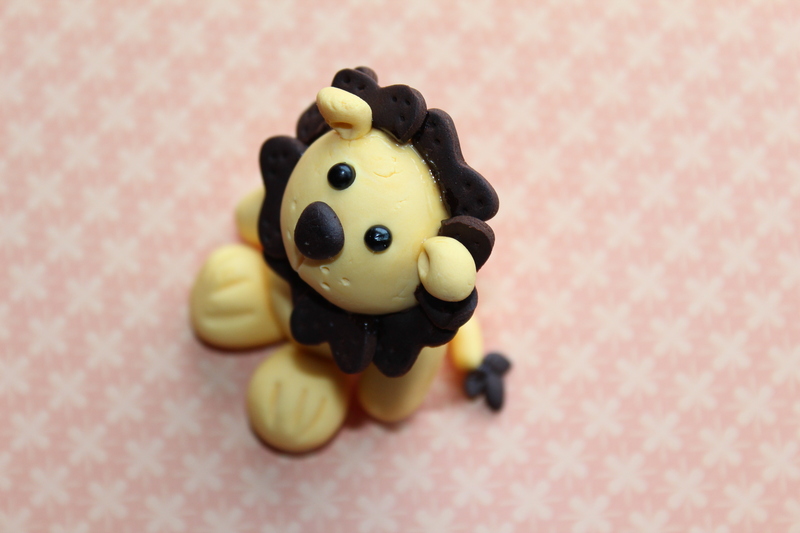 I saw a picture of a lion made out of fondant (cup-e-cake gang) and thought that’d be perfect to go on his special birthday cupcake. 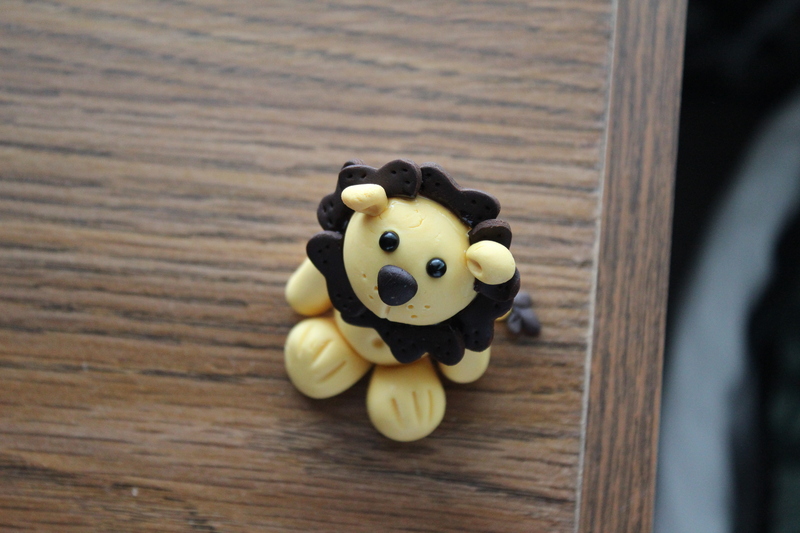 So, I am going to give you a sneak peek of the party preparations, with this little lion. 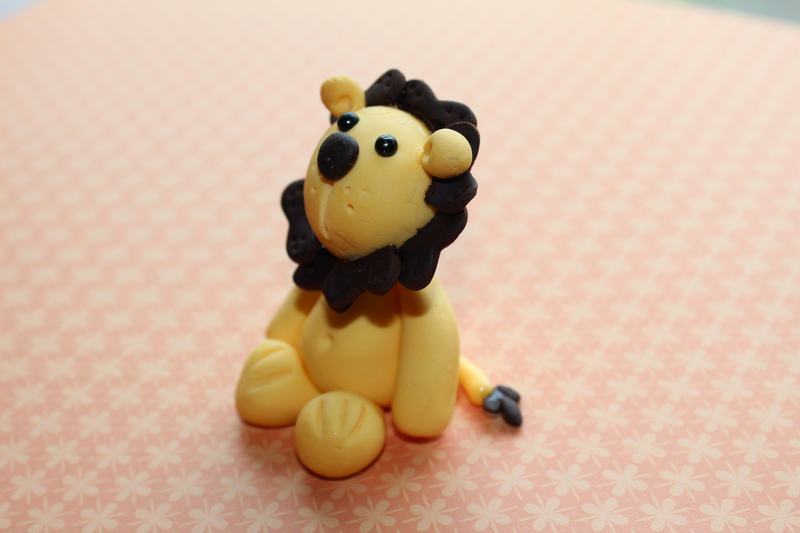 Here the little lion is drying. 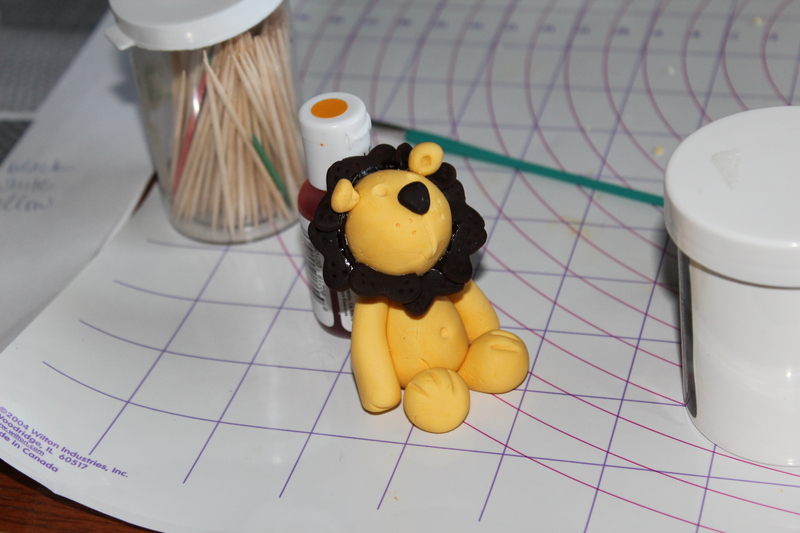 I used piping gel to “glue” the mane to the head. This giraffe was a disaster. 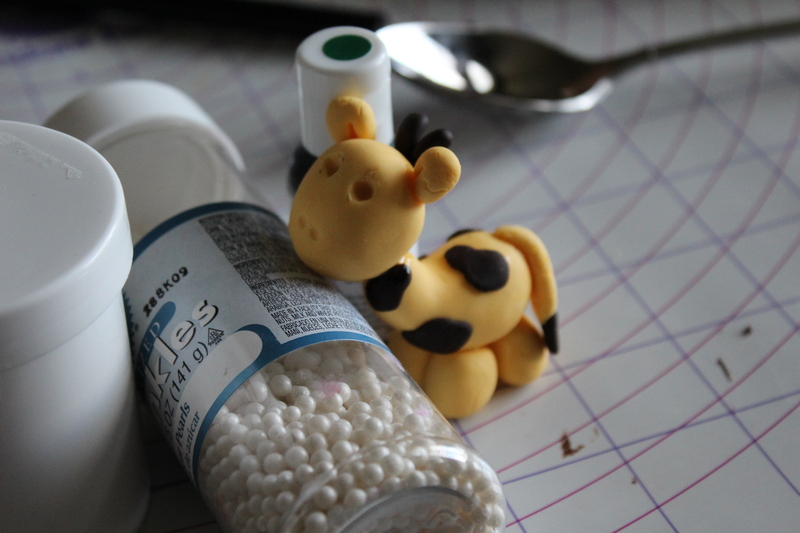 So much piping gel went into getting his head to stick to his body; and in the morning, his head was next to his legs. I thought about using a toothpick to secure his head, but was afraid I’d smoosh the head or body. Eyes are in and he’s almost ready to make his debut! i totally stumbled upon this and i LOVE your lion! Thanks for the shout-out!!! So so so cute! I want to kiss your little lion and giraffe! Cute. The little giraffe was adorable too! Too bad his head sunk.